1973 Name changed to United Way of Greater Jonesboro. $10,000 set aside to help tornado victims. 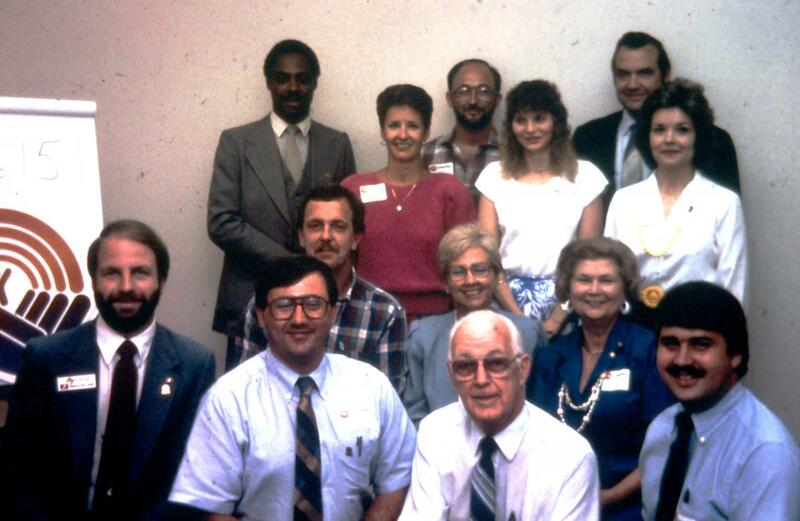 1986 June Morse hired as Executive Director. 1987 United Way of America was 100th Anniversary. First class stamp issued, Pillars received the first day issue. 1988 Marilyn Hummelstein served as the first female president. 1990 Martha (Hannah) Secrease retires after 21 years of service. 1994 Day of Caring began. 1996 Campaign goal of $721,000 was reached. 1997 Record amount of $784,000 raised. 1998 Shootings at Westside Middle School. Westside Crisis Fund Committee was formed. 1999 Bonnie May hired as Executive Director. United Way moved to City building 407 Union. 2000 Carol Ann Belk hired as Executive Director. $677,176 was raised. September 14. A decision was made to proceed with campaign; Kick- Off, raised $707,246. 2002 Kevin Lawrence was hired as Executive Director. 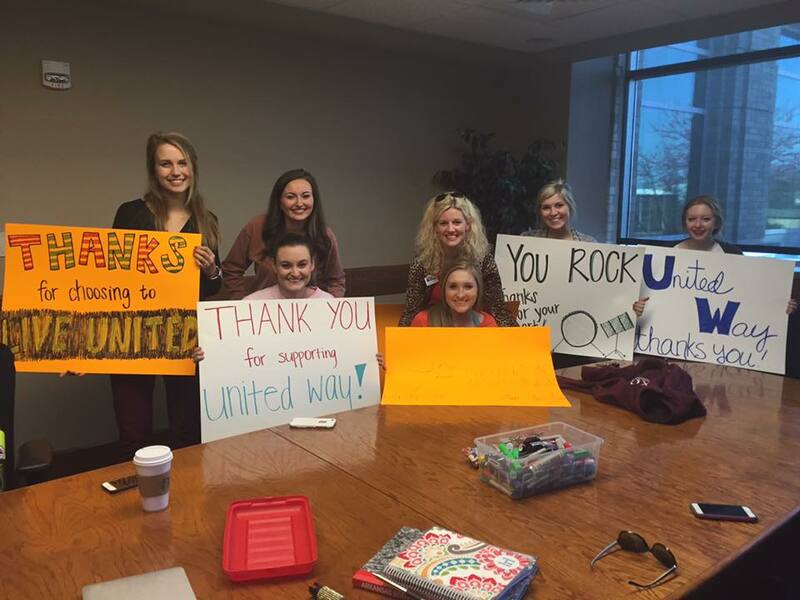 United Way Campaign raised over $740,000. 2003 Sara Howell created the first Pillar’s art. The first Gary Schuchardt Memorial 5K Run/Walk was held. 2004 Campaign Kick-Off set $760,000 goal. Nanette Heard joined the staff as Bookkeeper. 2005 Happy 50th Anniversary United Way of NEA! New logo was unveiled. The first “Stuff the Bus” held in Corning and Newport. Organized volunteers to serve Katrina evacuees. Campaign Kick-Off goal was $704,000, raised $711,163. Ruth Baker became Executive Assistant Imagination Library program begins. 2008 Kevin Lawrence accepted position with City Water and Light. Wendy Kirk hired as Executive Director. becomes Executive Director. Ruth Baker becomes Accountant. Megan Scribner joined staff as Executive Assistant. 2011 An anonymous donor committed to give $10,000 per year for 3 years to fund “Education Matters” scholarships. served. Most volunteers ever on Day of Caring. 2016 Jenny Keller left to take a new position. Shaila Creekmore joined staff as Director of Business Development. Tiffany Gipson joined staff as Director of Community Impact. 2017 4th annual Live United with the Stars set record for proceeds. Paula Robertson begins semi-retirement.